Delicious All American Food. Without the Guilt. 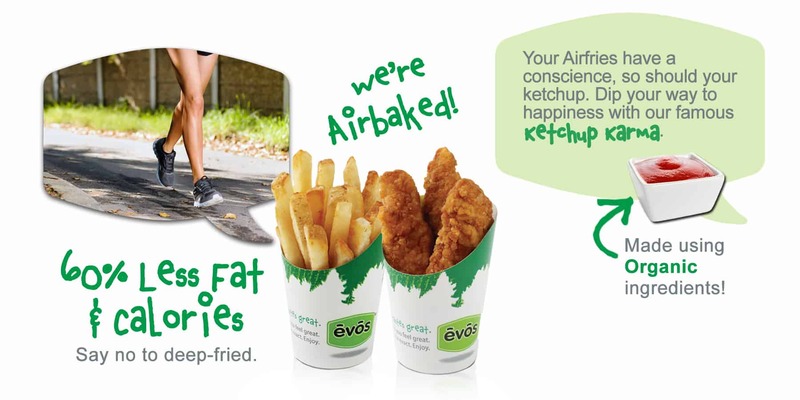 EVOS Airbakes™ – instead of deep-frying. We select naturally raised beef, natural poultry, and wild caught Alaskan salmon. Milkshakes? Organic milk and sugar. Fruitshakes? Real fruit and fruit juices. Super nutritious & crave-a-bowl meals. For life. On the go. 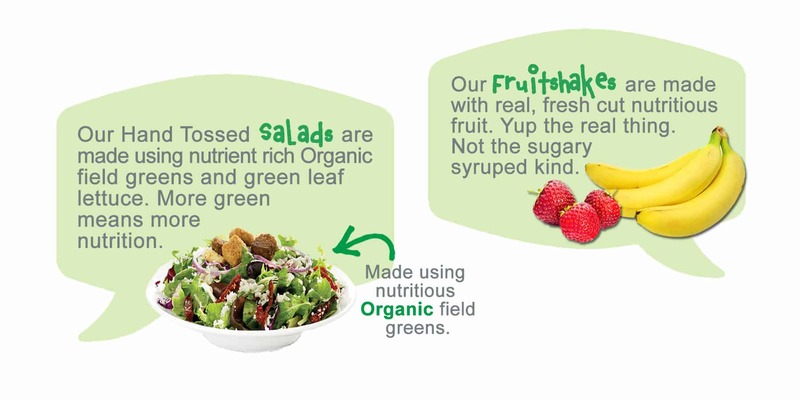 Hand tossed with dressing to order & made with fresh, locally grown produce whenever available. 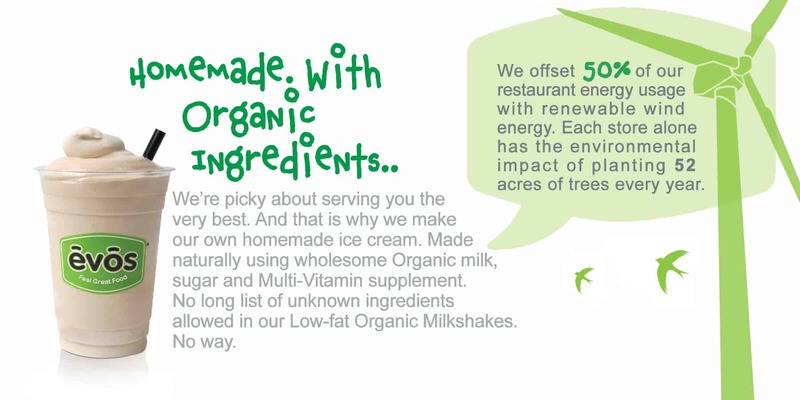 Our milkshakes are homemade, natural, organic, and lower in fat & sugar. For Healthy Kids 12 & under. EVOS original cheeseburgers. 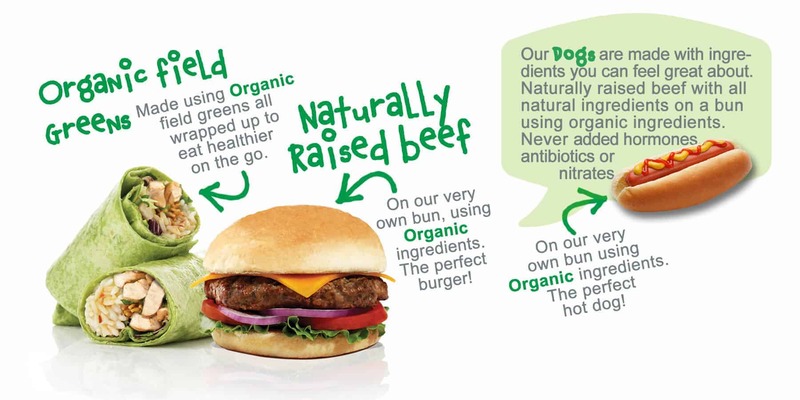 Delicious & natural Ingredients layered on our very own organic bun. 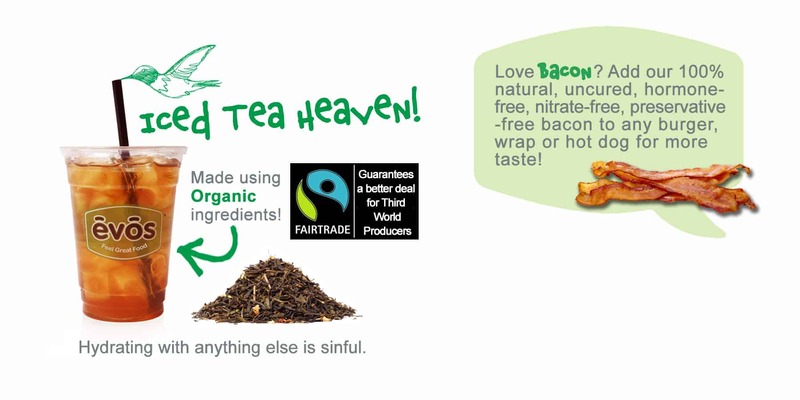 Gourmet fresh & healthy ingredients inside a natural wrap. Craveable All-American favorites healthfully recreated. If you love EVOS, they will too! Spread the health. With a healthier spread. Like our food, our guarantee is simple. If you don’t like it, we’ll make you something else, or your money back. No ifs, ands, or buts about it.